GIRL BETA was created to propel and ignite the female bouldering community. 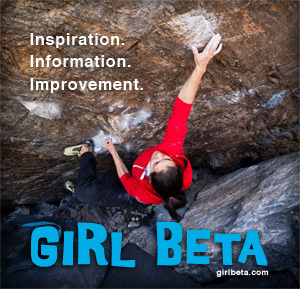 We do this by showcasing climbing videos submitted by women from all over the world, as well as providing climbing performance information. We hope this will help break down barriers to specific bouldering problems and help women everywhere unlock their physical potential. Improvement is a work in progress and with just a bit more motivation, information and GIRL BETA, more girls will be crushing than ever before. Contribute videos, information, training tips, and beta. Suggest a problem to us! Purchase our products. 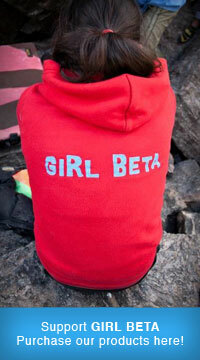 We put every penny back into developing and growing GIRL BETA! Come and climb with us! Or, just contact us with suggestions or questions about how you can get involved!